"Leonardo da Vinci's prowess as a polymath — driven by insatiable curiosity about everything from the human womb to deadly weaponry — still stuns. In this copiously illustrated biography, we feel its force all over again. 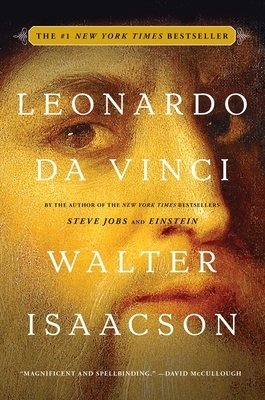 Walter Isaacson wonderfully conveys how Leonardo's genius unified science and art." "Luminous . . . Leonardo Da Vinci is an elegantly illustrated book that broadens Isaacson’s viewfinder on the psychology of major lives – Henry Kissinger, Benjamin Franklin, Albert Einstein and Steve Jobs are the subjects of his previous biographies, best-sellers all."